Typos really do crop up in some unusual places. 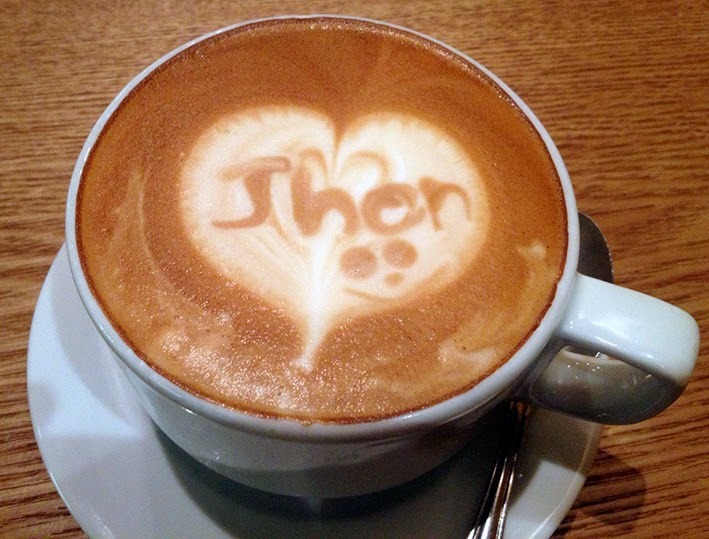 Here's one from Jon C who was pleased when he was asked his name in a Palo Alto coffee shop recently because it made his experience much more personal. The idea, he presumed, is that the staff can call your name when your order's ready. But he was impressed when he picked up his latte because someone had taken that personal experience one step further by writing his name in the foam. It's a shame because, as you'll have noticed from his name, the h is entirely superfluous anyway so they could have saved themselves a mention here on MTH. Actually, I've just noticed the scary smiley-face that they drew too. Maybe it was deliberate devilment.